Have you been to ORTO? Located in Yishun . ORTO was formerly known as Bottle Tree Park , this 555000 sq feet (about the size of 5 National Stadium!) nestled in the lush greenery had undergone a massive makeover to become a one stop leisure park catering to families. As we step into ORTO, we thought we were transported back to the Kampong days. Away from the hustle and bustle of city life, ORTO provides a much welcome relief with its laid back charms and rustic vibes. We are glad to have discover this little piece of serenity in this city state. Being a one stop leisure park, it houses several activities center that caters to both young and old. In addition there are plenty of restaurants there to suit your taste and budget. Here is our guide on what to do and eat at ORTO. If you had been to a Trampoline Park, you would know how fun it is to defy gravity. At Katapult Trampoline Park, the boys had a go at slam dunk, dodgeball, wall running and free-fall into airbag. Jumping for 10 minutes can easily burn 100 calories. Jumping for an hour will guarantee you losing weight fast, especially if you are doing it on a weekly basis. Get High . Feel the Air! Having fun while losing weight sounds perfect to me! 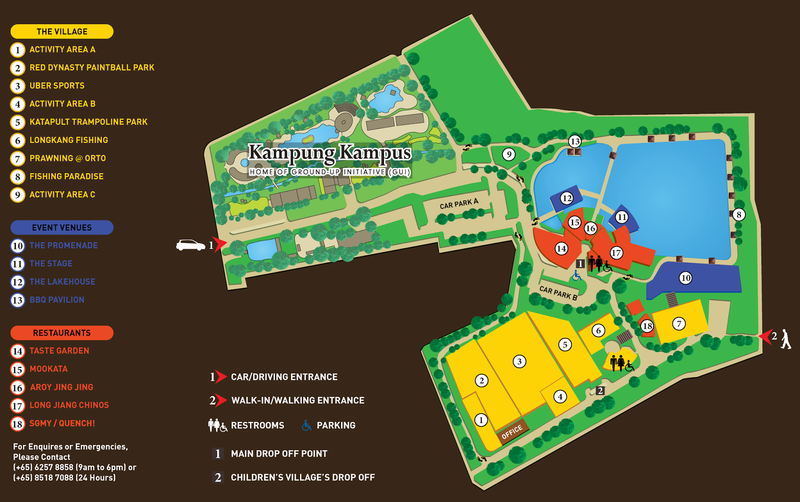 Go back in time to have a glimpse of kampung living by catching guppies in a 25 meters long pool. Having experiences in longkang fishing, the boys took to the task like fishes to the water. Best of all there is no time limit and the limit to the number of fishes caught! You may not catch a prawn a minute , but when you do, you can choose to barbeque it for a meal on the spot. Food taste great especially when you catch them yourselves! For those who loves to fish, fishing paradise provide a decent spot for up to 90 guests at any one time. We had heard of catches as big as 1 meters long! *For ages 14 and up. Paintball is an excellent team-building activity where all participants of all ages*, genders and fitness levels can participate in and play. Paintball at Red Dynasty Paintball Park is fun, healthy and safe to play. After a tough week of work or examinations, splattering your friends and colleagues with paintballs is a good stress reliever for anyone! Unfortunately the boys are a tad too young to give this a run. Maybe next time! Fancy a game of Futsal? You can now play like Ronaldo or Messi at Orto. Practise makes perfect and you might be the next homegrown soccer superstar! To compliment the experience, there are restaurants there that gives a whole new meaning to dining under the stars. Catering to a variety of taste and occasions, you will find a place to complete a day out with the family. Local favourites can be found at ORTO at a very reasonable price. From nasi lemak, satay , to curry selections , you are sure to find your own favourite local cuisine on the menu. Best seats in the house - The Cabanas! Best seats in the house will be the cabanas. Go early or make a reservation to get a spot. The sister restaurant , Qeunch! Bar and Bristo are on the same premises. You can get Western food from here as well. Providing a wide range of local and international Halal cuisine a a reasonable price. Fine Dining at ORTO can be experience at Long Jian Chinos. Serving modern Chinese dishes, Long Jiang lets you enjoy your meal with ORTO's park view as the backdrop. Thereafter have a drink at Hops & Berries. The Bottle Trees may have disappeared but the rustic charm remains in a modern clean set up. 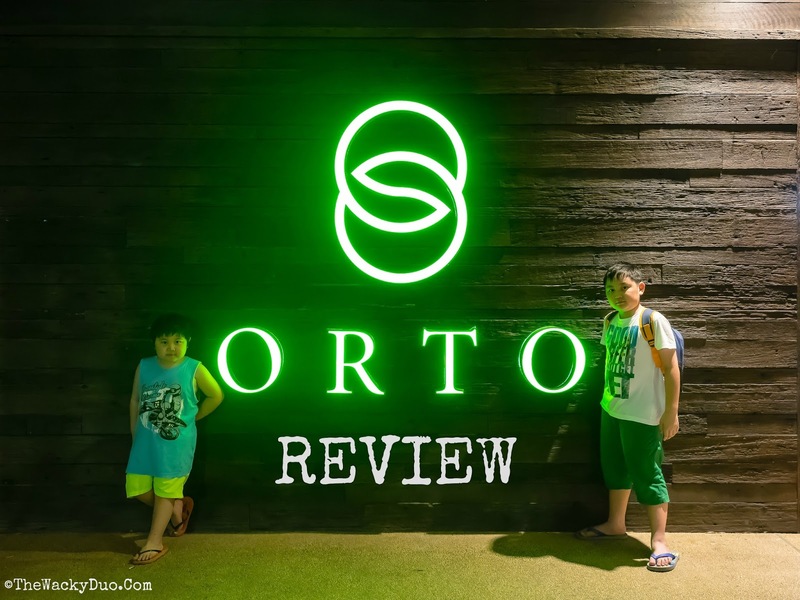 ORTO is a gem to be discovered and a great urban / rural spot for families. 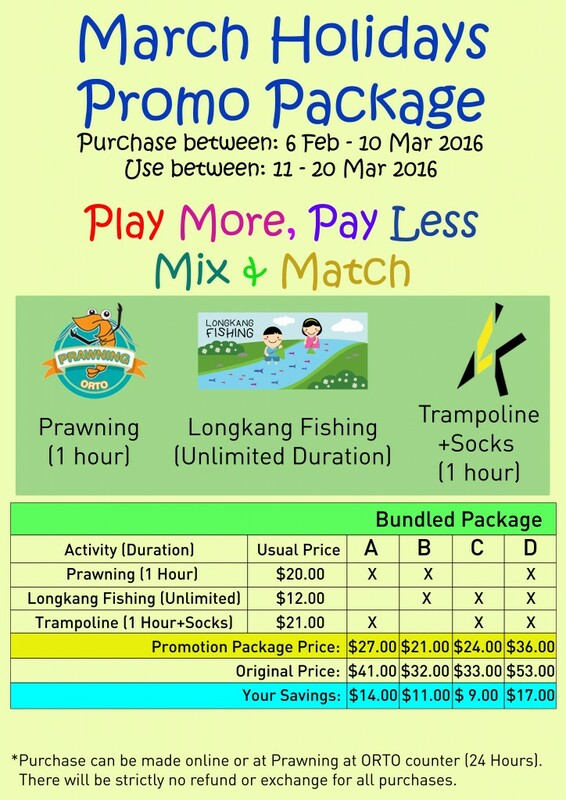 This package includes one hour of Prawning, one hour of Trampoline (Socks included) and Longkang Fishing. 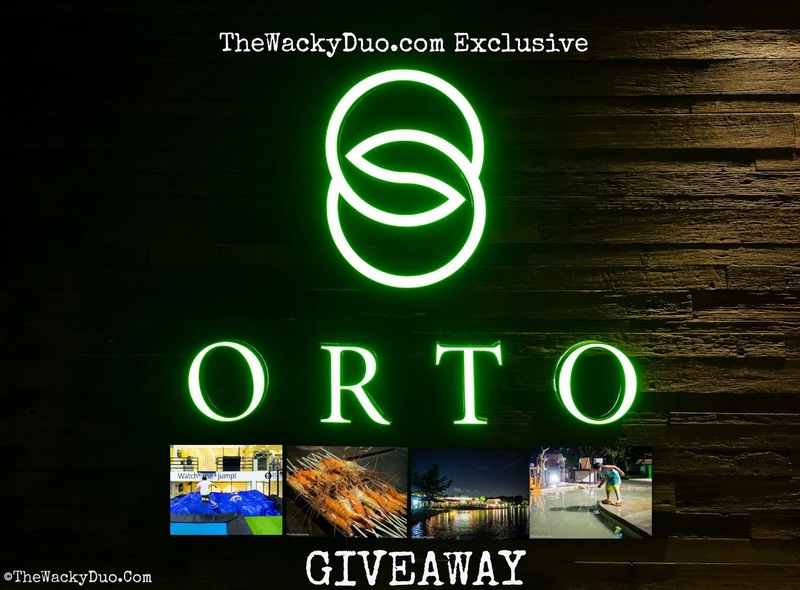 1) Like and Quote 'Fun @ ORTO' on the facebook post link or instagram post of the above photo. Results will be out on 10th March on this post. Winners are to response via email by 12 March with Full Name, contact number and email address. Any late response will be disqualified. Winners must check the results on their own accord. The Wacky Duo is not reliable to notify winners. Thereafter prizes are to be self collected at ORTO (Prawning Center next to SG/MY). Prizes are valid from 11 till 20 March only. The Wacky Duo were invited to an evening of Kampong fun @ ORTO. All opinions are of our own. This is a great idea for my kids School holidays next week..They sure will havelots of fun too.